I also thought it would be a neat way to share with you that I will be performing this Saturday, March 23, at the Lincoln Theater. I will be joined by dozens of amazingly talented dancers that I am lucky to call fellow company members. I would love to have you join us for what will surely be an evening of high energy, incredibly diverse dance. Capitol Movement's repertoire includes contemporary, hip-hop, jazz and various ethnic styles, because we commission both locally- and nationally-renowned choreographers to set pieces for us each year. If none of those words mean anything to you, google So You Think You Can Dance and it will all start to make sense, I promise. Or, you can check out our Instagram for a behind the scenes look at our rehearsals. If you'd like to rock your own studded ballet flats to our show, there is a wonderful DIY post over on Orange Juice. If you'd rather just buy a handmade pair, you can buy here or here. To get the full look fairly, I strongly recommend purchasing your work-out t-shirts and leggings from Alternative Apparel, who have strict sustainability and labor standards, or American Apparel, who manufacture their clothes in the USA. Both retailers offer organic cotton items and are my go-to when it comes to workout and dance gear. classes here in DC that anyone can pay to take. Since it is Women's History Month, it's important to note that Capitol Movement is co-founded and directed by two local DC women who give their hearts and souls to our company each and every day. 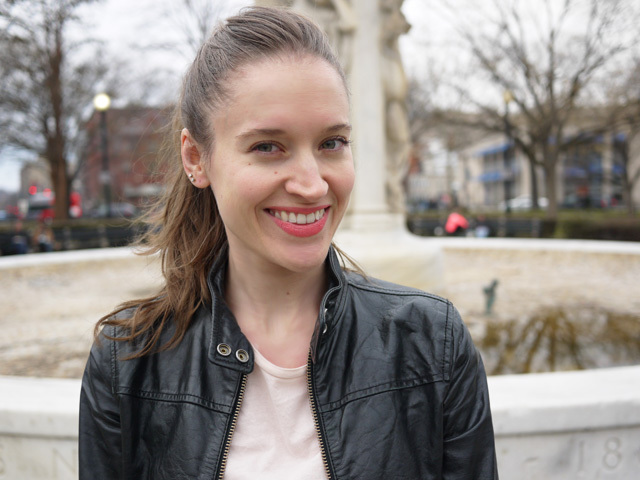 Amber Yancey and Stephanie Jojokian are two of the hardest working women in DC, managing children, day jobs and a non-profit dance company with a smile and some serious sweat. They are amazing, our show is amazing, and as if you needed one more reason to come, remember that your ticket purchase supports badly needed arts education for young people in the DMV area. I would LOVE to come see you dance, Rachel! If only it weren't so close to my due date! Another time :) Best wishes for a wonderful evening though. Aww, thanks Casey! And congratulations!!! Very cool post and gorgeous photos! I'm sharing it on FB now! What gorgeous photos, you look beautiful! 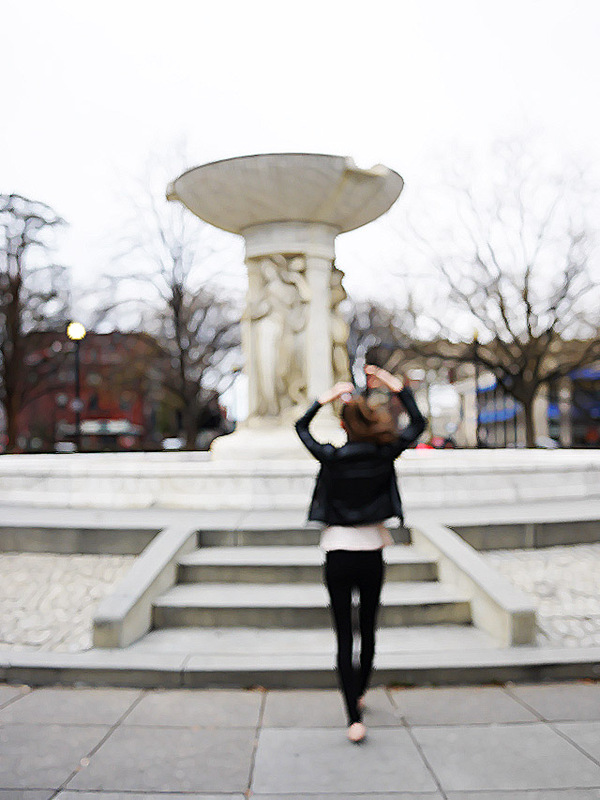 I love Dupont Circle, it's such a great spot to people watch (I am sure you provided some amusement for those who happened to be sitting there while you took those photos.) Your dance company sounds very cool. I might have family obligations that take me out of town but I will try my best to check it out if I stay in DC for the weekend! SOOO Excited for the show and LOVING these ballet flats... don't know if I can squeeze in a DIY before the show but I think I do need to make these shoes!! You look so graceful when you dance!